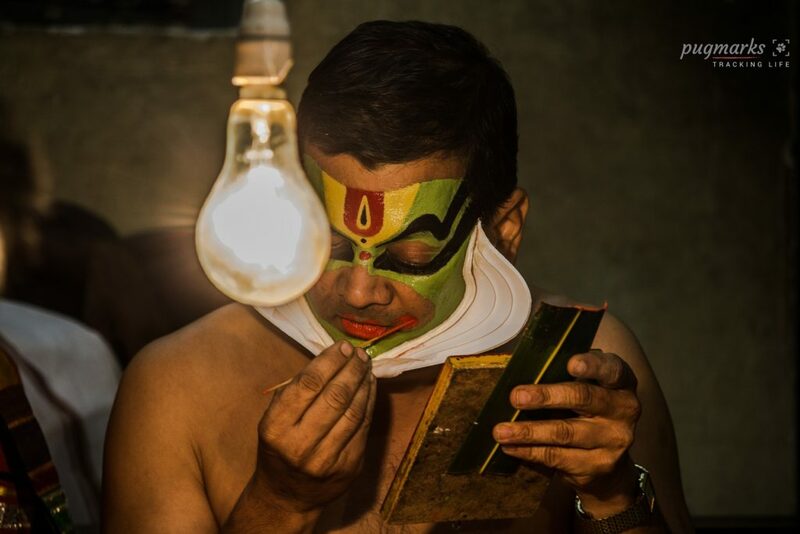 Kathakali is one of the most popular art form of Kerala. It comes under the genre of art – ‘story play’ where the performance are performed by male artists primarily, but now females are also part of it. 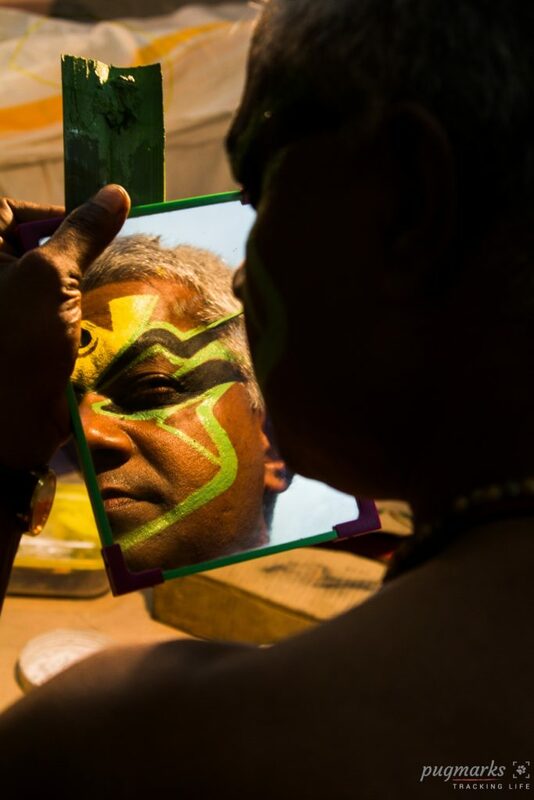 The artists wear colorful make-up, masks and elaborate costumes. 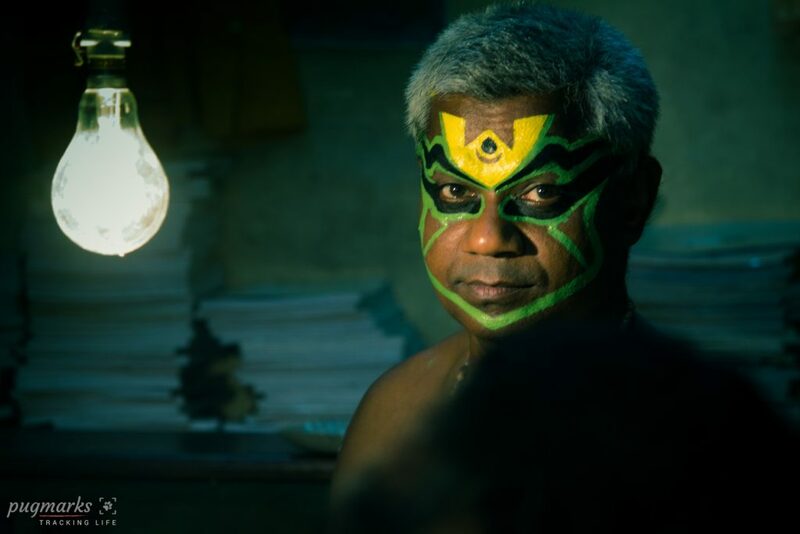 Costumes are of several types: Satwika, which is worn by the hero, Kathi worn by the villain, Minukku by females and Thatti. 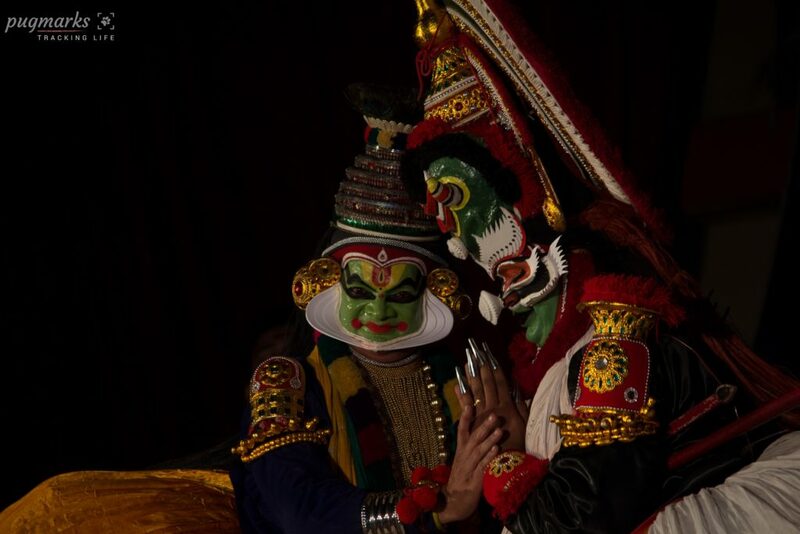 The verbatim of Kathakali is ‘story performance’ ie; Katha means story and Kali means performance and art. 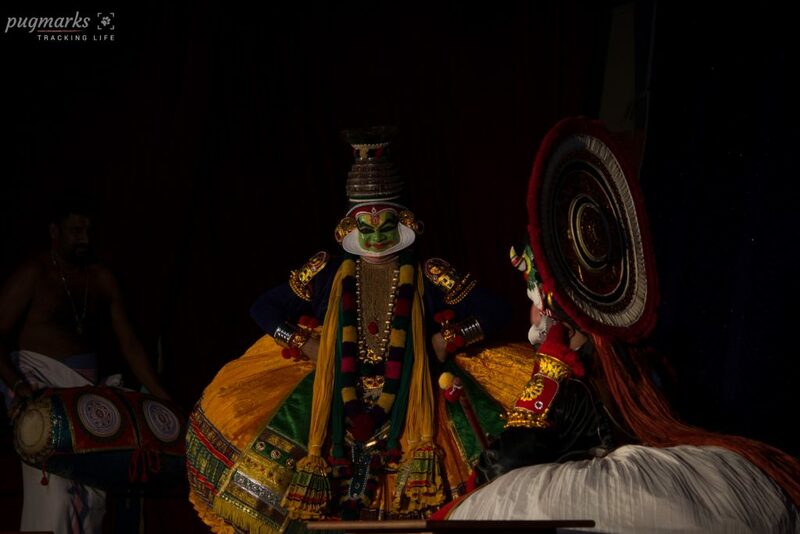 Although its roots are unclear, the fully developed form of Kathakali emanated from temple around 17th century. It was Mahakavi Vallathol Narayanan Menon (founder of Kerala Kala Mandalam) who gave shape to the present form of Kathakali. This traditional art form includes music, vocal performers and the artists use hand and facial gestures to convey the story and ideas. The themes used in the performance are are derived from Mahabharata, Ramayana and other Hindu epics, mythologies and legends. The language used or sung by the vocal performers are the Sanskritised version of Malayalam. 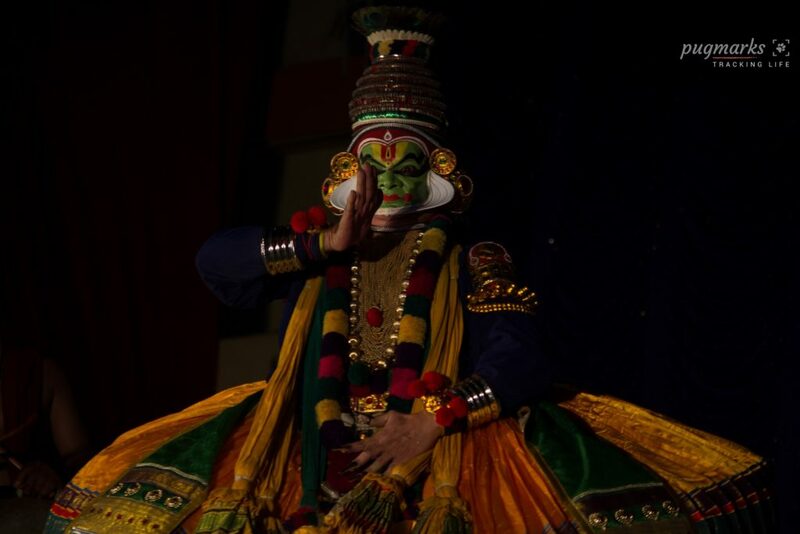 It is very interesting to learn that Kathakali is the only art form in which the entire body (both skeletons and muscles) is used to portray the emotions. Bangalore Club for Kathakali and Arts, in association with Kairalee Kala Samithi presented “Karna Parva” – grand Kathakali performance by senior artists Dr. Sadanam K Harikumar (as Karna), Sri. Sadanam Manikandan (as Arjuna) and other prominent artists were Sri. Sadanam Sree Nathan (as Krishna), Sri Sadanam Vignesh Harikumar (as Ghatolkachan) and Sri Sadanam Vipin Chandran (as Shalya). The vocal were handled by Sri. Sadanam Sivadasan and Sri. Sadanam Jyothish Babu. The programme was held on 28th August 2016 at Kairalee Nilayam auditorium, Bangalore. Karna Parva (96 chapters) is taken from the famous epic Mahabharata. It describes the appointment of Karna as the third commander-in-chief of the Kaurava union. This part (Krukshethra war) of the epic presents fight between the Karna and Arjuna and at the end of the Parva, Karna is killed. The interesting story has a novel war-demonstration based on the concept of Dwairatham. Krishna’s pure dance passage revel in novel choreography through the essence of its traditional.